Two of my lovely hellebore's are already blooming in December. It feels a bit early. I may have missed it last year but I do not remember these early hellebore's blooming until January. The pretty Elly is also blooming. 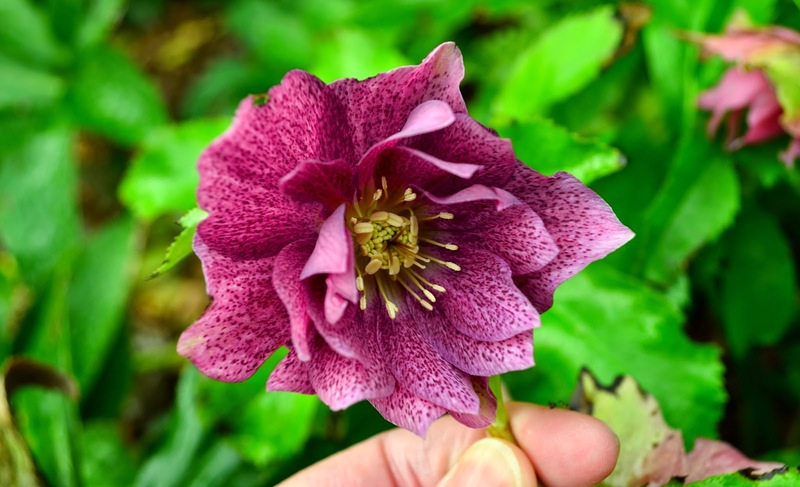 Last year, I moved many of my hellebores to the front of my home where I have raised flower beds covered with hazelnut shells to keep the slugs at bay. Only Elly is left in the back and as I see her poor little chewed up leaves, it is clear that I need to make room for her up front as well. 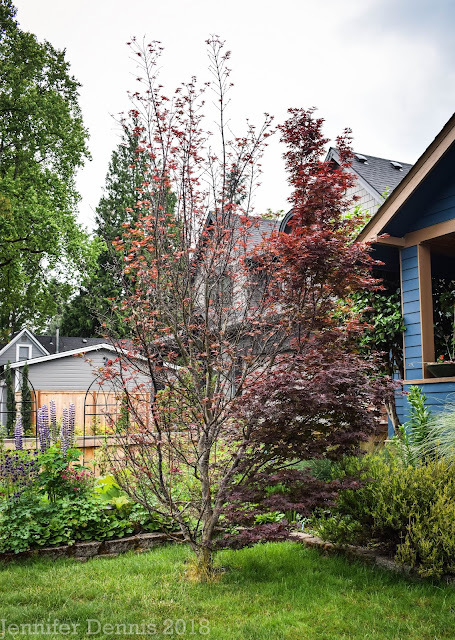 As I have walked around my neighborhood this month, I have seen the early blossoming plum trees and forsythia bushes beginning to bloom. We do not normally see these blossoms until early February. Ah, signs of a mild fall with warmer evening temperatures to fool mother nature. Are things blooming early for you? 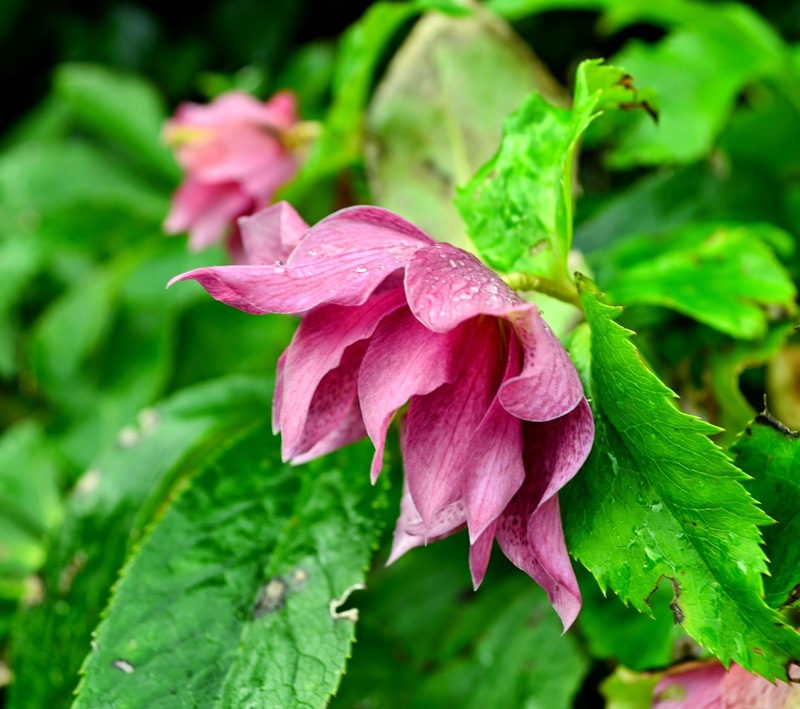 Such beautiful hellebore blooms! 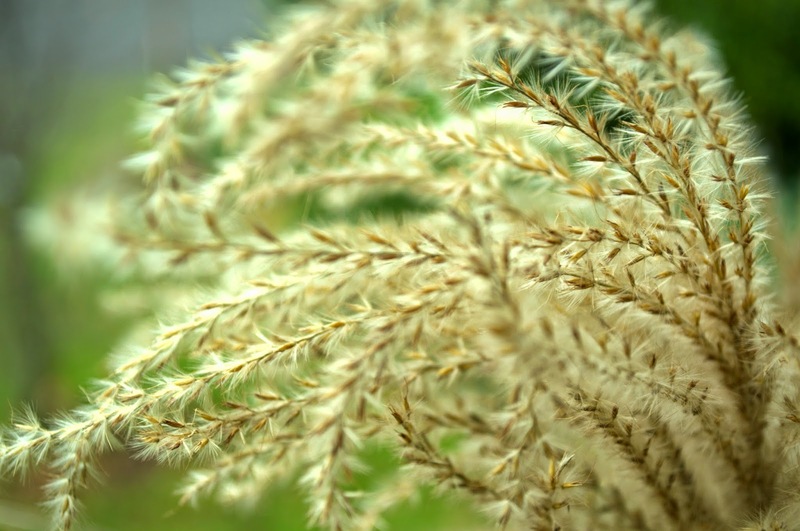 I only have the seed heads of my grasses to enjoy right now. Well, they are called Christmas Roses. Mine are always way later, but I sure wouldn't complain if they were to show up now. Guess I'd better go out and have a look. 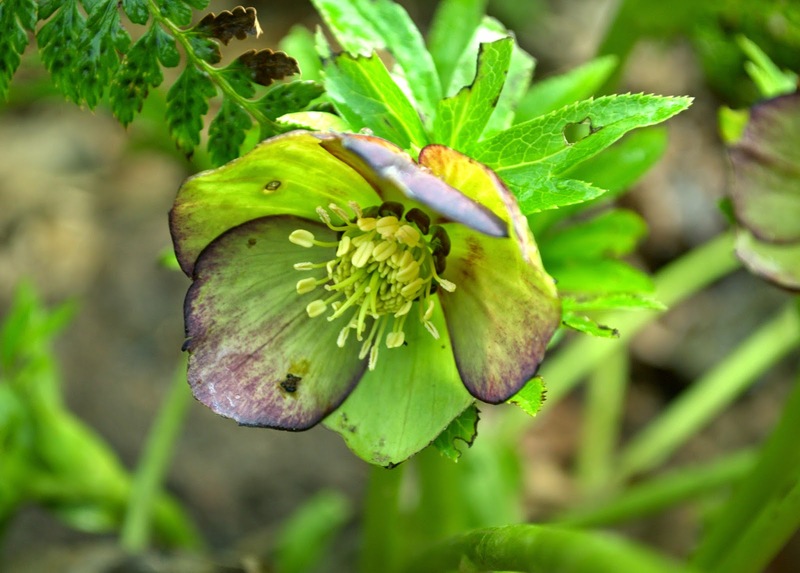 I have a Hellebore foetidus that is fixing to bloom but hasn't yet. Nothing else is early but it has definitely been a warm winter so far. I love your Hellebores Jennifer. They're gorgeous. Beautiful colors and textures. What a great surprise for Christmas. I planted my first Hellebores a year ago. This coming spring will be their second. If the winter is mild, they might bloom in February, otherwise March or if things are really bad, April. Over here it still feels as if Winter has not yet begun, and I think some of the plants are confused by the mild weather. however, I think Hellebores are supposed to flower at about this time, aren't they? I hope my new little ones do as well as yours - though I note your comment about how attractive they are to slugs. I haven't seen any early blossoms, but there are lots of swelling buds looking like they are about to break out into leaf already It makes me wonder if the plants know we are going to have an easy winter. 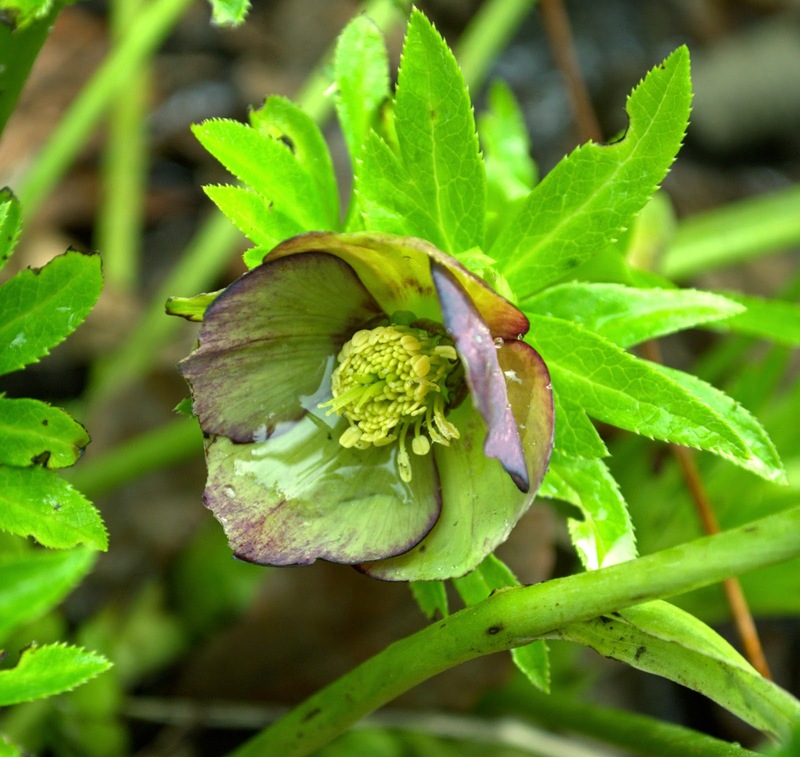 I also have Hellebore foetidus that is blooming right now . The others are no where near blooming . Nice ones you have !